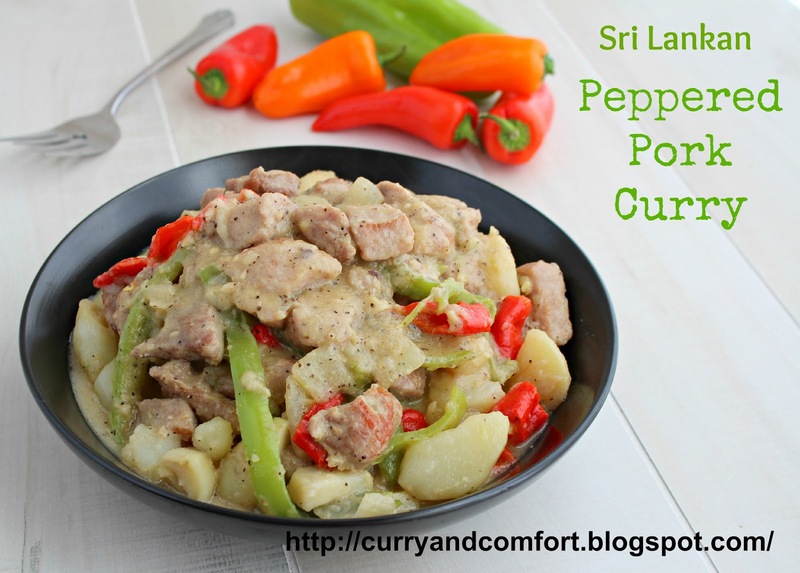 This is pork curry is one of my mother's recipes that I love. 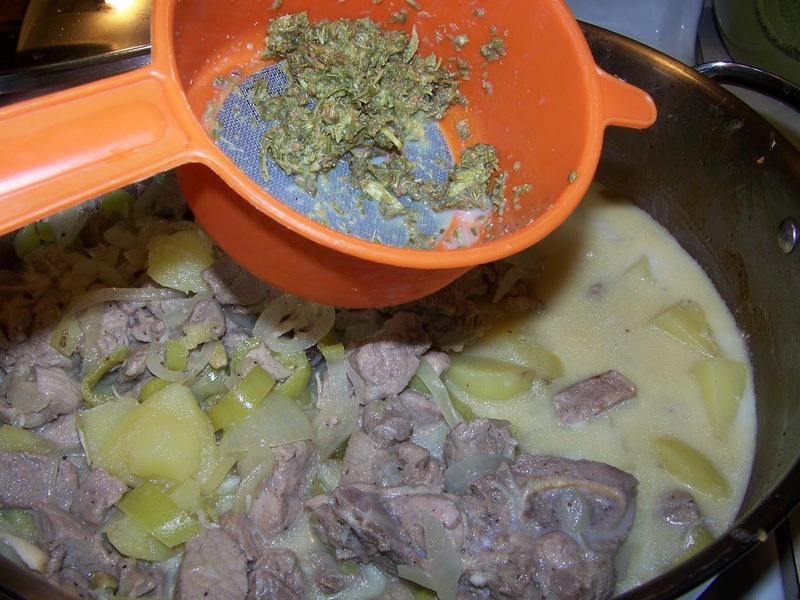 She loves to entertain with this dish and it's always a hit. What I like about this dish is that the flavors are so different from your normal meat dishes that have strong curry flavors. The cardamom and fennel flavors are subtle yet exotic. 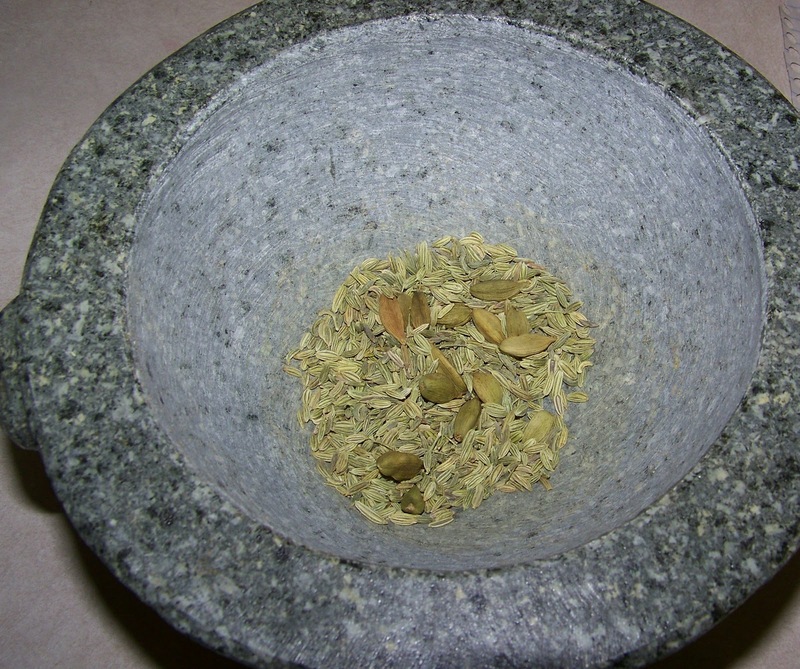 It is a wonderful addition to any rice and curry meal. salt and pepper (be heavy with the pepper). 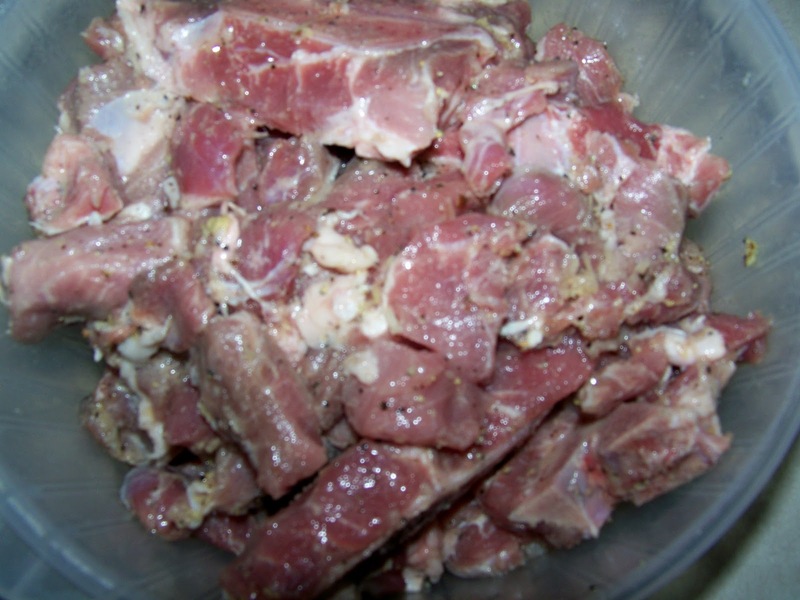 Cut pork chops into chunks. 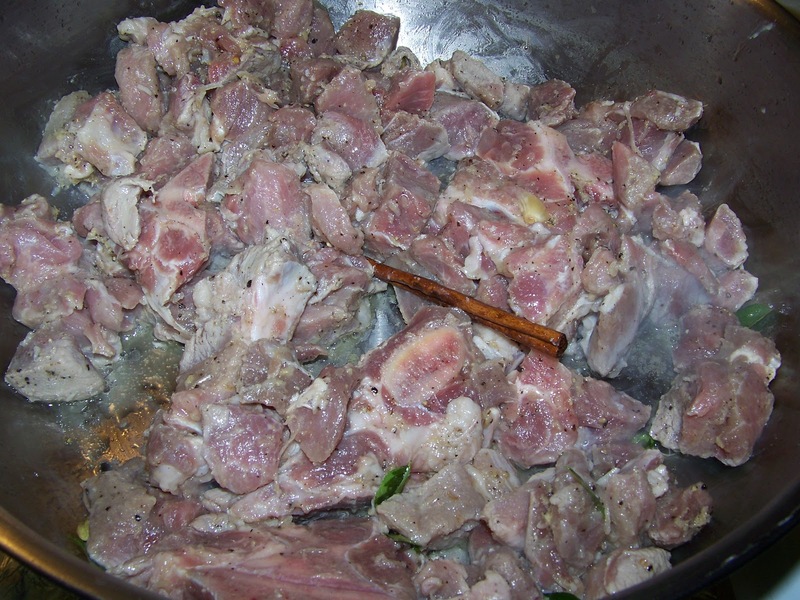 If you are using bone-in pork, leave bones because they add flavor. 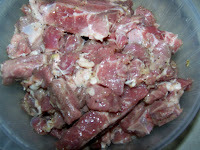 Marinate the pork for about 15-20 minutes before cooking with pork marinate above. 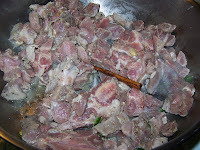 Cut into cubes (slightly bigger than the pork chunks) and boil them. Drain and set aside until later. 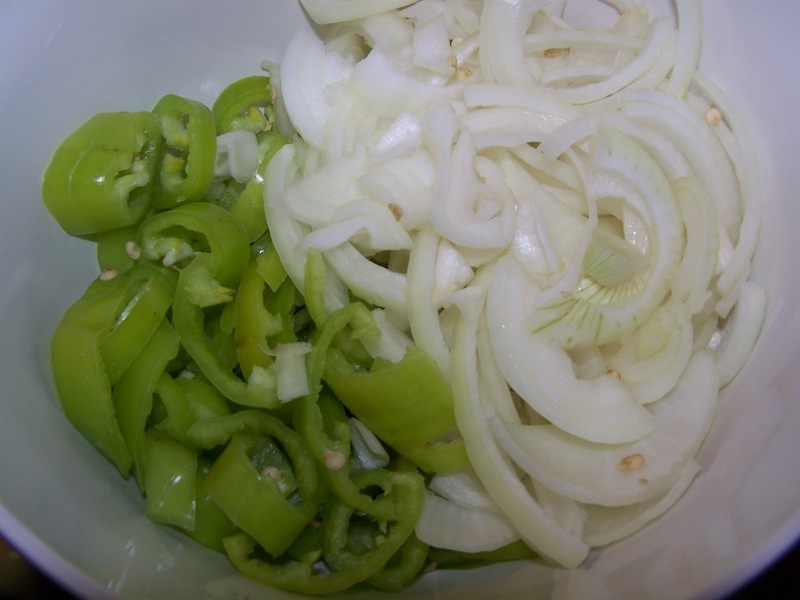 Step 3: Slice onions and pepper. 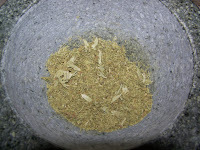 Mince/grate ginger and garlic for curry. Step 4: Make the curry sauce by grinding or pounding in either a mortar and pestle or spice grinder the cardamom pods and fennel seeds until coarsely ground. Add the ground mixture to a bowl and add 1-2 cups of milk. If you want a little extra gravy I would go with the 2 cups. 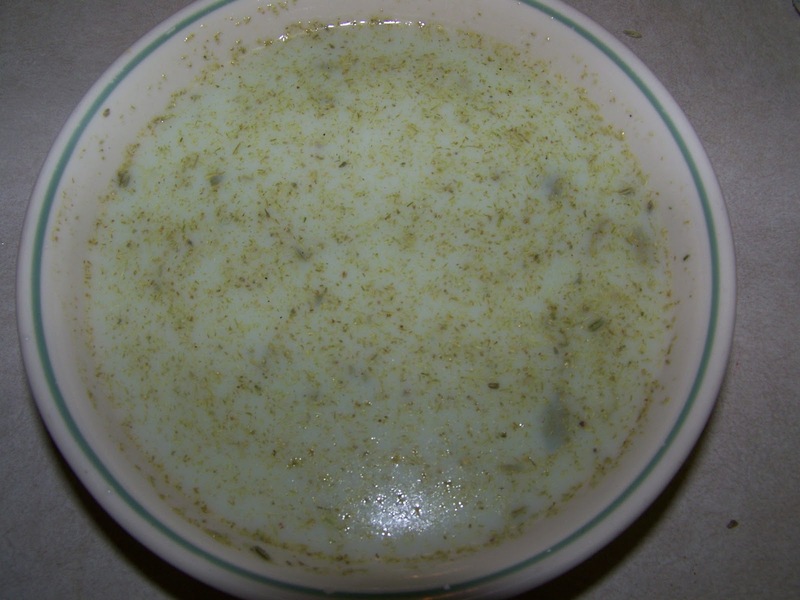 Let the spice mixture steep in the milk for at least 5-10 minutes. **note on milk: My mother uses cow's milk for the recipe. You can give coconut milk a try too. Add marinated pork and saute'. 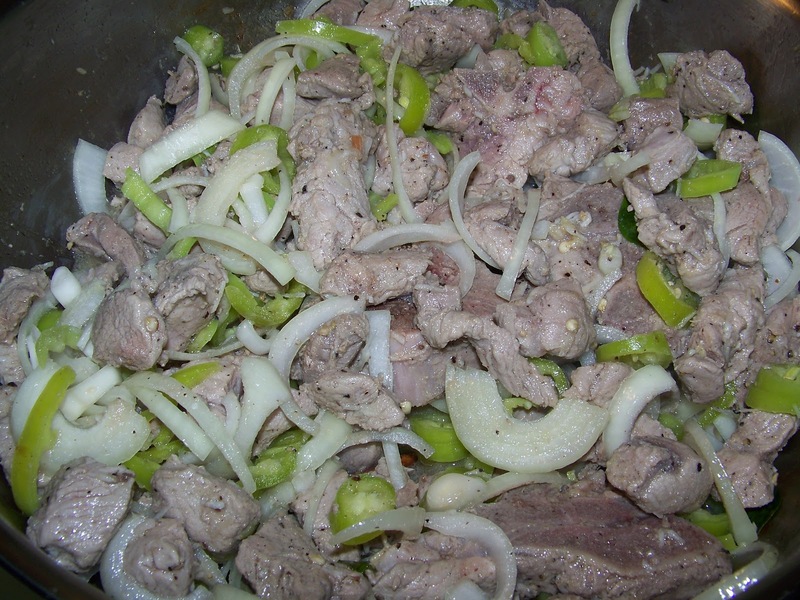 Once the pork is opaque add sliced onions and sliced peppers. 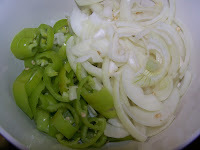 Also add the remaining 1tbs of garlic and 1tbs of ginger. Saute all ingredients and cover. Let cook for 10-15 minutes. 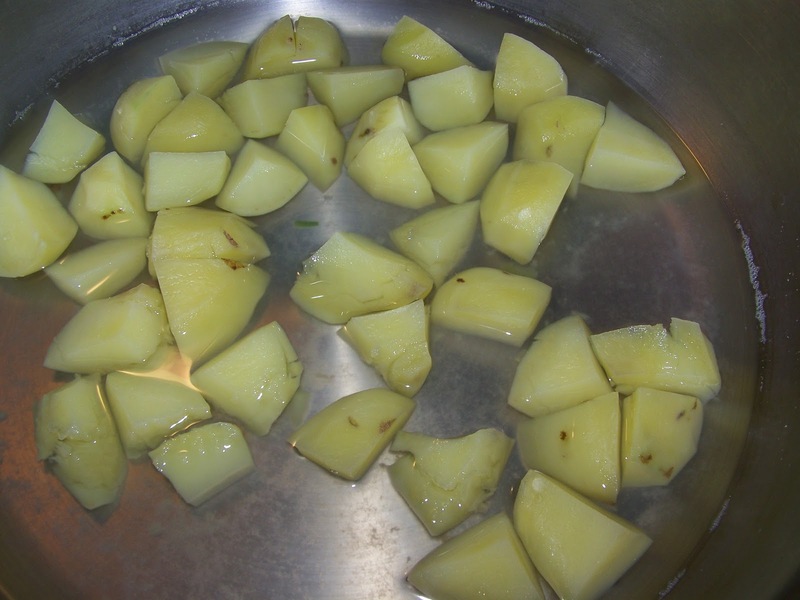 Once the pork is cooked through add the boiled potatoes from earlier. Then strain the spice/ milk mixture with a strainer to the pork dish. 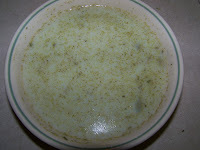 You will need to strain the milk mixture because you don't want the pod and fennel pieces in the final dish. Simmer for another 5 minutes and check for salt. Serve with rice. Enjoy. Hi. Great recipe! Just wondering... if this cows milk you add or coconut milk? Yes, please feel free to use fresh milk. That's what my mother usually uses. It will taste fine. :) Hope you enjoy. 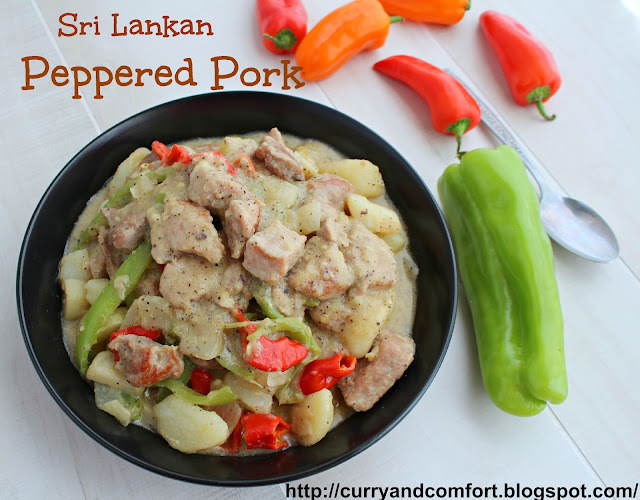 Bill loves pork and this looks like an excellent recipe to add to my repertoire. I have been buying more pork lately - don't know why we ever when on a break. I haven't thought of using it as a curry! 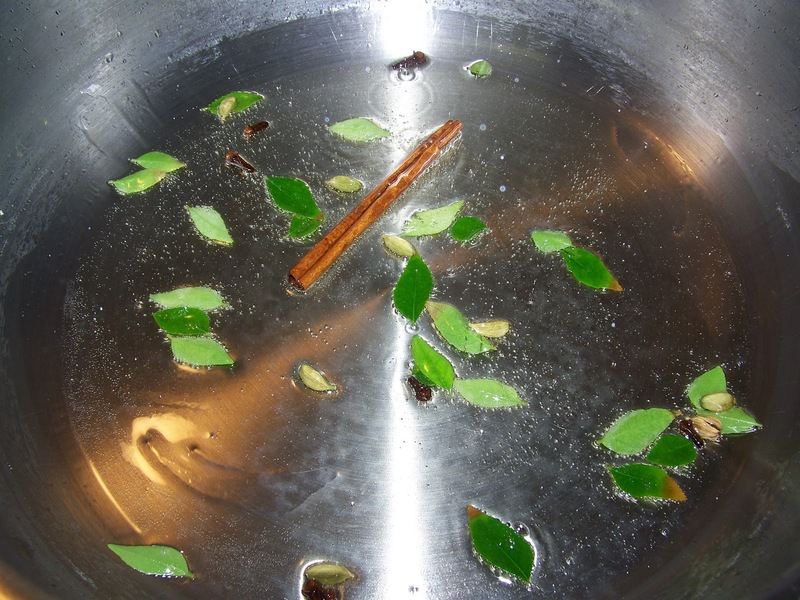 I love reading your ingredient list and wish that I could get my hands some of the ingredients, namely the curry leaves and the cardamom pods. 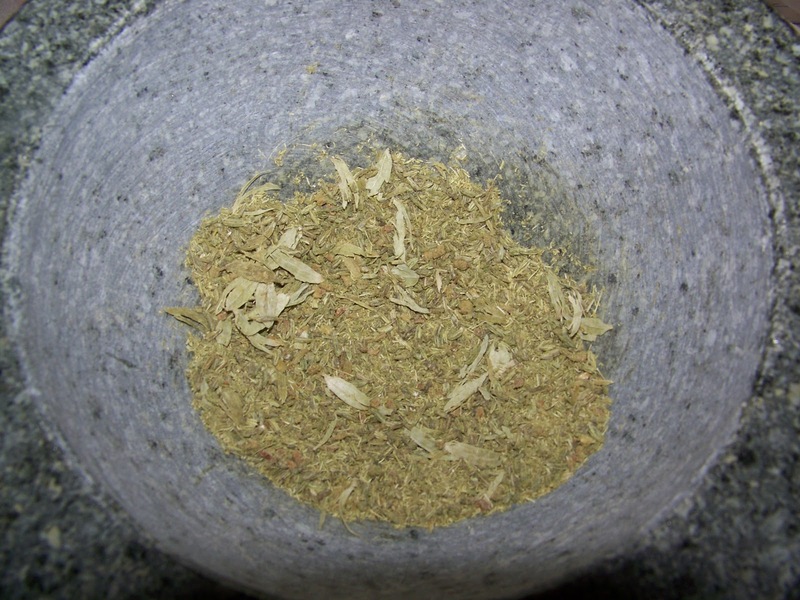 I recently went to a local Asian market that sells all kinds of great herbs and spices, but they have recently reduced their inventory and no longer sells a lot of the great things I used to see there. 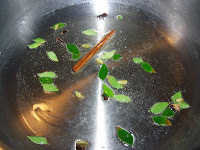 :( I know this is a silly question, but is there a substitute for curry leaves? I bet this smells as awesome as it looks.